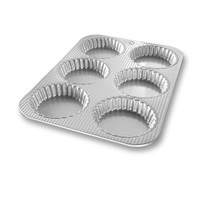 The USA PAN 6-Well Mini Fluted Tart Pan is perfect for baking specialty miniature tarts flavors like strawberry cream cheese and peach. Bake flawless crusts that comes out of the oven flaky and ready to be filled with your favorite toppings. Our proprietary AMERICOAT® nonstick coating provides quick and effortless food release, flawless baked goods and easy clean-up. 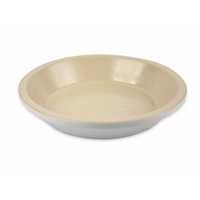 Bake the perfect key lime, pumpkin, or apple pies with the USA PAN 9 Inch Pie Pan. 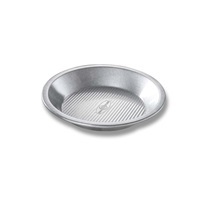 This pie pan helps home bakers create memories by sharing their best-tasting pies with the whole family. Our proprietary Americoat® nonstick coating provides quick and effortless food release, flawless baked goods and easy clean-up.